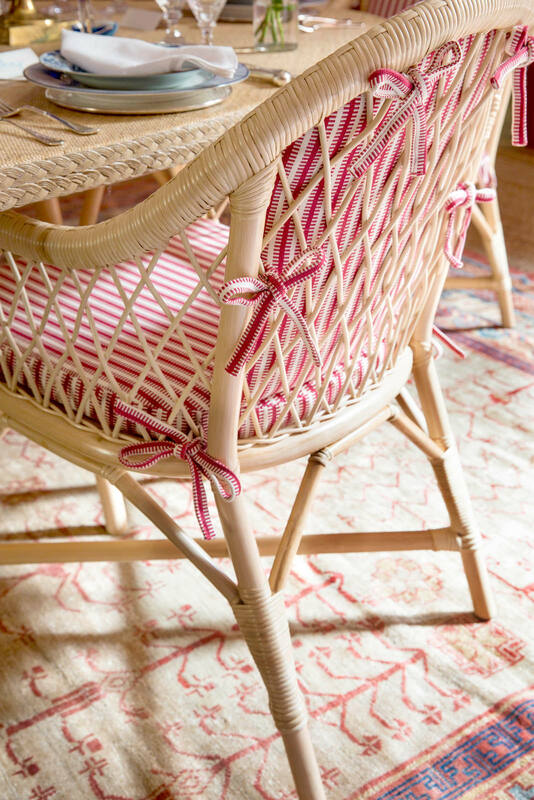 I wrote about his dining room design at Kip's Bay Showhouse in 2015 when he launched his new rattan collection, and I'm circling back today to showcase this stylish and well made line on our popular new column, What We Love Today. 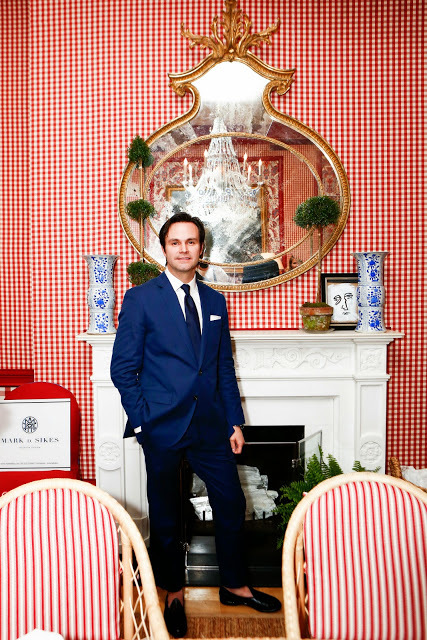 I admire the design aesthetic and work of renowned interior designer Mark D. Sikes. 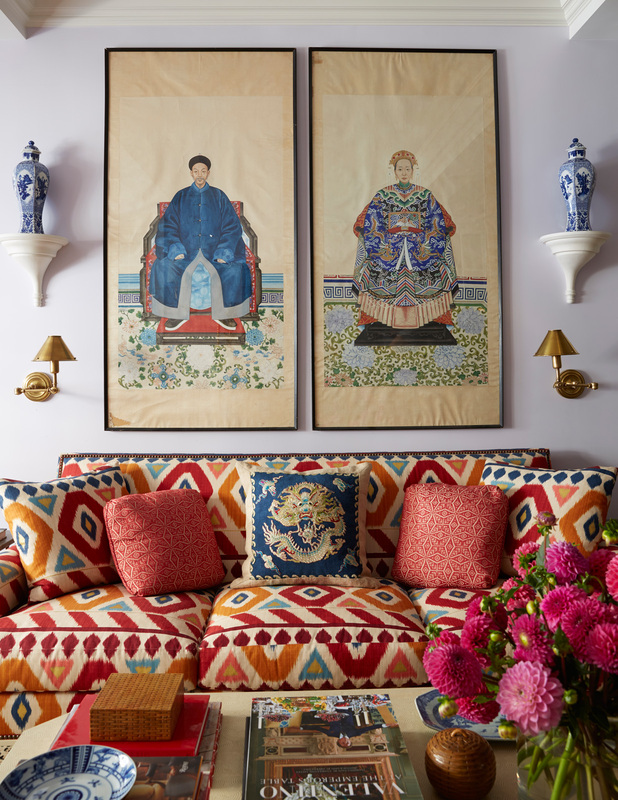 He has a special talent for blending design styles and materials to create sophisticated, high style homes offering nuanced designs and layering yet they feel well edited. 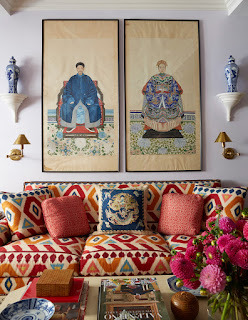 I appreciate his bold sense of color too. 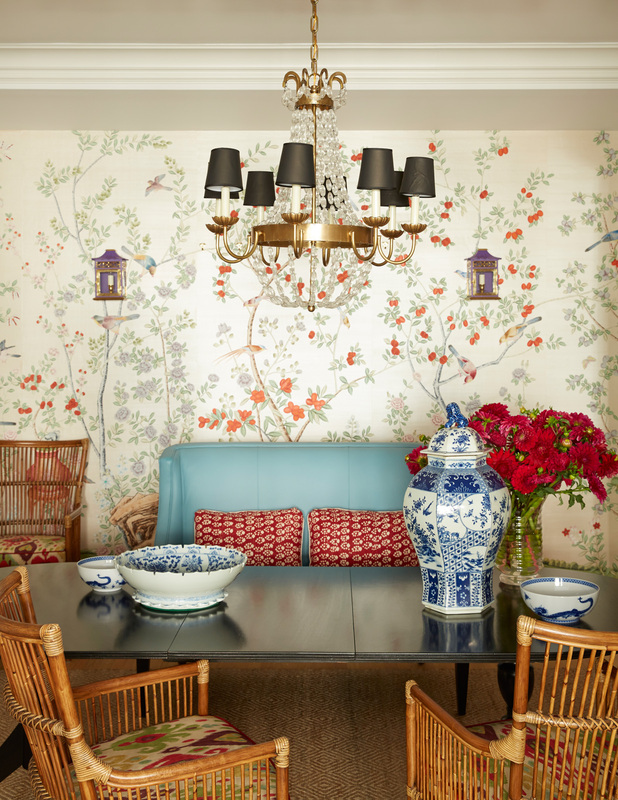 See below a New York City home he created which showcases my examples well -- here he combines exotic textiles, vibrant colors and the natural feel of rattan. 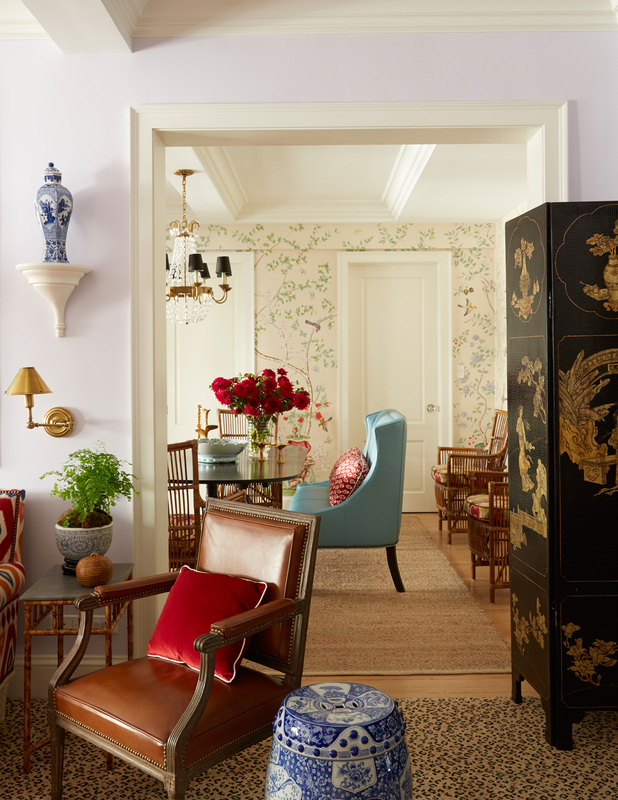 The end result feels one part British, other part California Cool and all parts sophisticated New York. 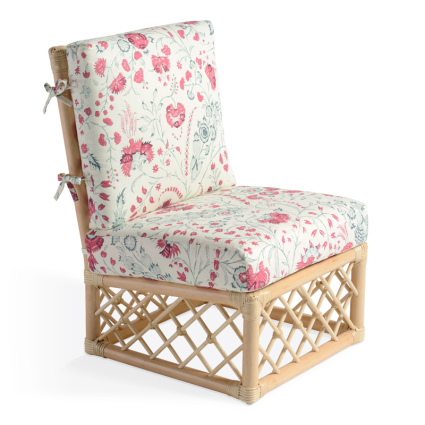 Named after Sike's French bullog, Lily takes inspiration from iconic American designer Billy Baldwin. 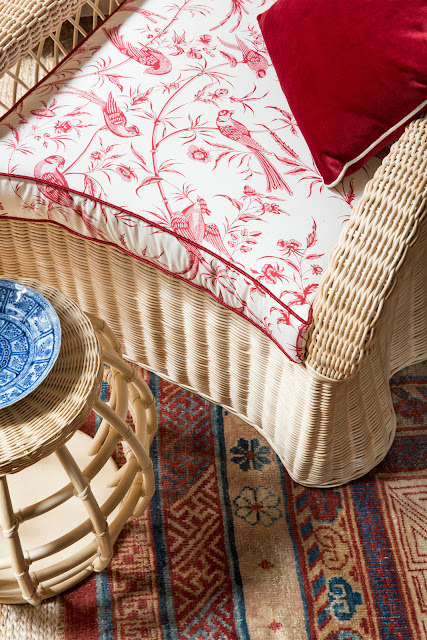 The collection is a collaboration with Soan Britain, and is a great example of English rattan. 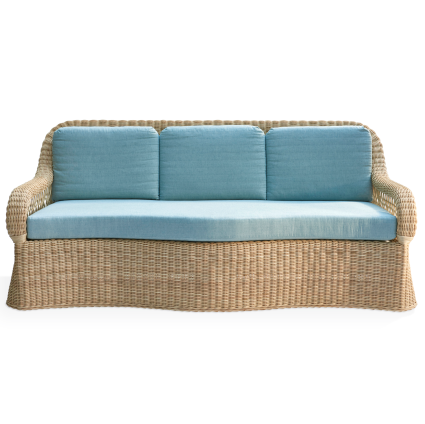 I am smitten with the wavy design of the woven rattan - the contours feel like draped fabric. The rattan is handmade by skilled weavers in Soane Britain's own Leicestershire rattan workshop. 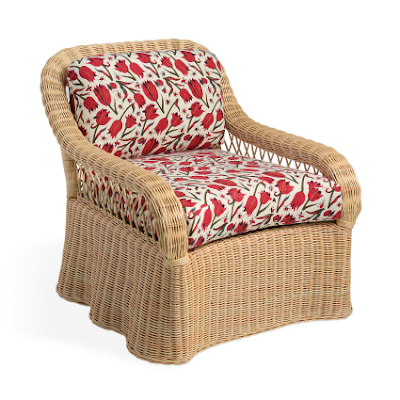 This takes traditional outdoor rattan and brings it inside the home. 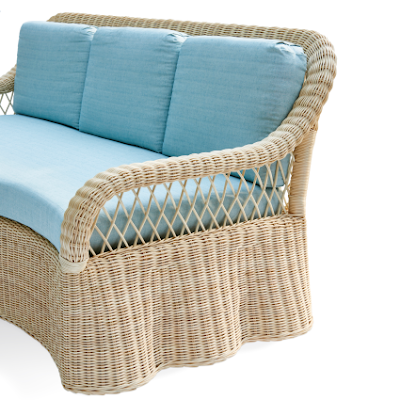 The rattan collection has a modern style yet rooted in great American and British traditions. I just returned from Paris' Deco-off two weeks ago, which is the year's launch of the luxury French fabric houses fabric and wall covering collections. 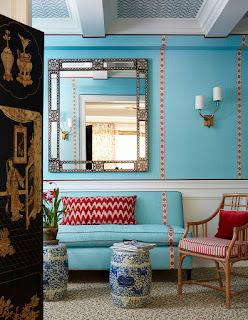 My article about a return to classic design in 2015 (linked above) is even more relevant today in 2018 because now three years later we are in the throes of combining the past with the future on every level in our homes from textiles, art to furniture and even the colors we choose-- the most relevant designers are melding while keeping one eye firmly on the history of design and on craftsmanship while interpreting that to create something new and fresh. 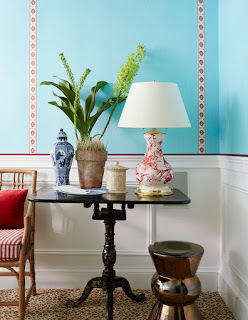 Mark Sikes does that well, and please check out the entire Lily Collection here.